What are the best US cities for foodies? 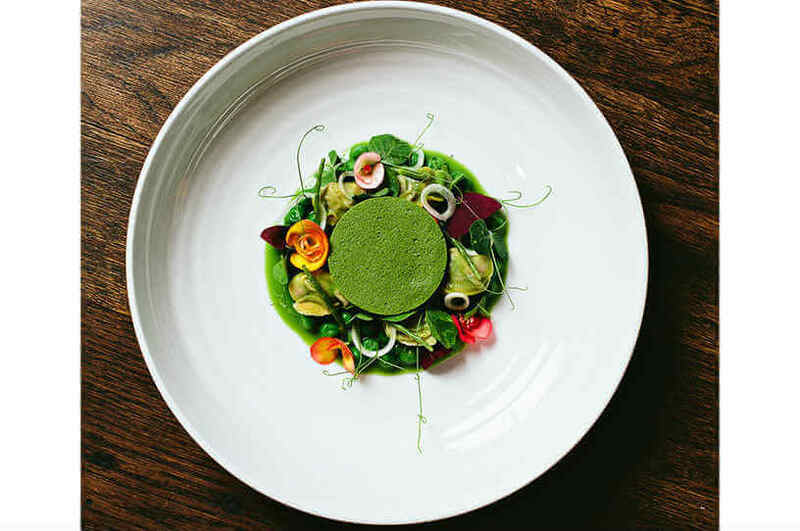 New York, to try some of the world’s top restaurants, LA for crazy-healthy cuisine or New Orleans for southern style? All three are worth your time and appetite. But one place a lot of food-lovers overlook when visiting the States is Charleston, the capital of South Carolina. On my first trip there in January, the weather was cold. Like, cold. 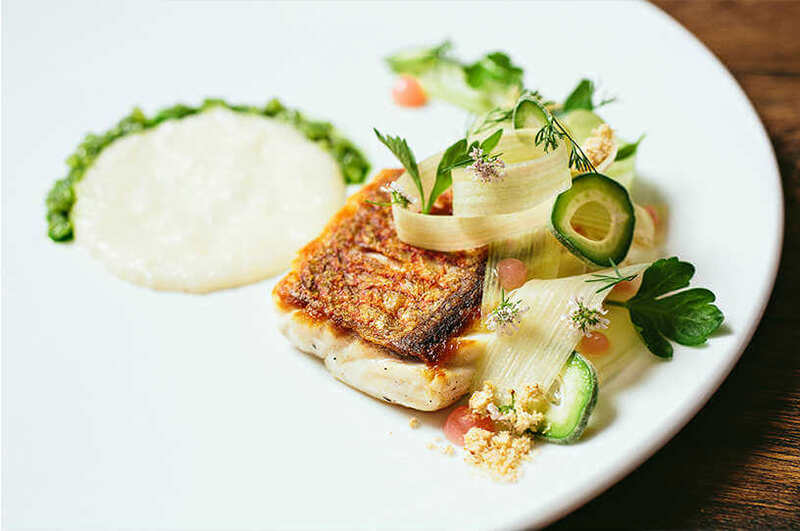 So although Charleston offers a lot of things to do in the warmer months, I mostly found myself inside, researching the city’s culinary scene. In other words, eating. A lot. What I discovered is that many eateries in Charleston are taking traditional southern food and giving it a thoroughly modern twist. And I’m not the only one who’s impressed. The Washington Post recently ranked Charleston as one of the country’s top 10 food capitals, and a successful NYC restaurateur told me he was eyeing the city for his next opening. With Charleston being just a one hour and 40-minute flight from NYC, I suggest you take a side-trip there next time you take a bite out of the Big Apple. Make sure you save some room. I spent two months in the south, and Smoke BBQ was the best barbecue restaurant I found across five states. And trust me, I went to more than a few. 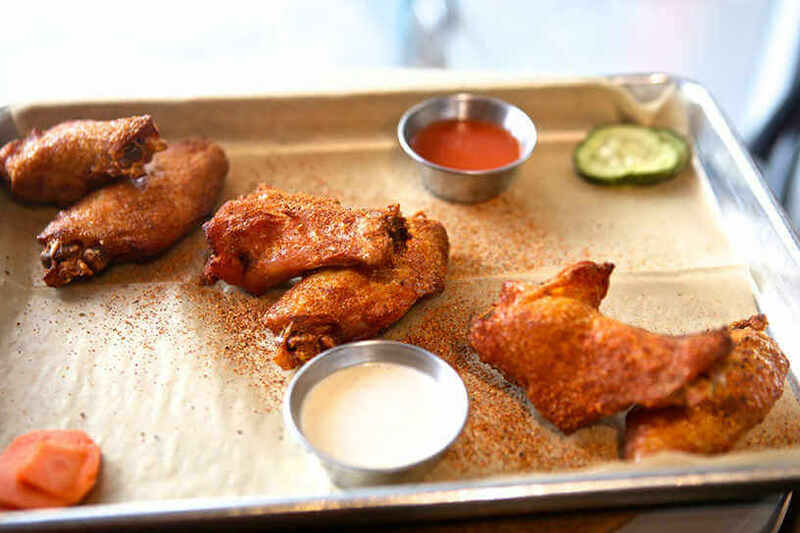 At Smoke BBQ, it’s as if they’ve applied the techniques of a fine-dining restaurant to casual fare, and the result is delicious. 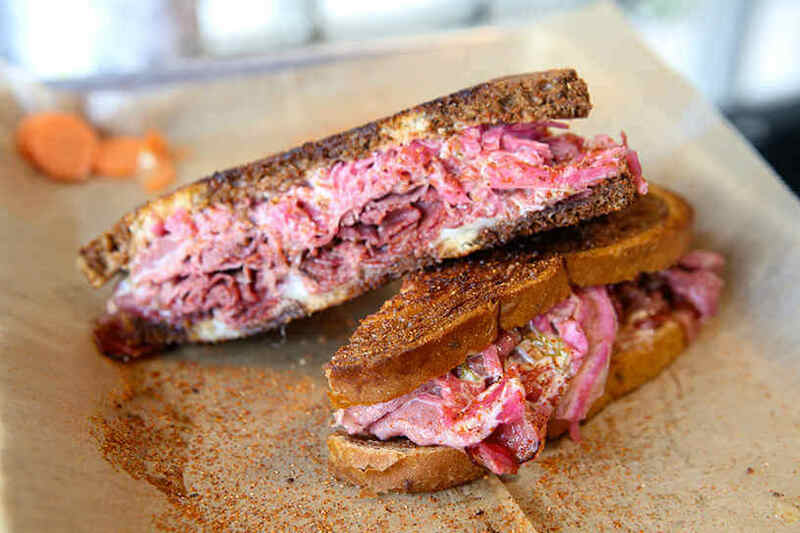 The crispy confit chicken wings were fall-off-the-bone tender, and the pastrami Reuben sandwich with homemade sauerkraut, Russian house dressing, and Swiss on marbled rye was food-gasmic. This place has ruined me for chicken wings and sandwiches and just all food in general, forever. Whenever a restaurant is an ‘institution’, I tend to be a little wary. Often places that have been around for ages build a reputation that’s impossible for them to meet. But McCrady’s, which has been a favorite Charleston dining spot for over a decade, lived up to the hype. 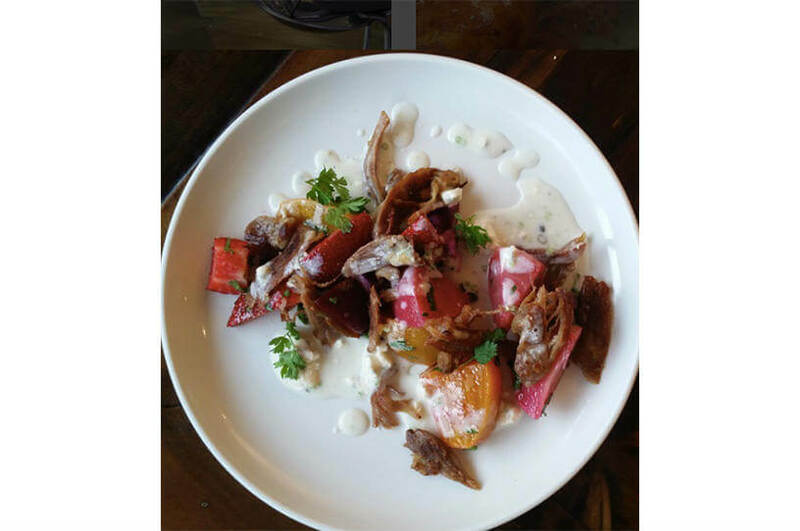 The modern-Southern menu features ingredients sourced from local farmers and uses them in cutting-edge ways. My favourite dishes were the clams with English peas, wild onion and begonias, and the American red snapper with polenta di Riso, rhubarb, celery and green almond. The cocktail menu is also unique, with each bartender serving their signature mix alongside the classics. Charleston’s food scene summed up in one place. 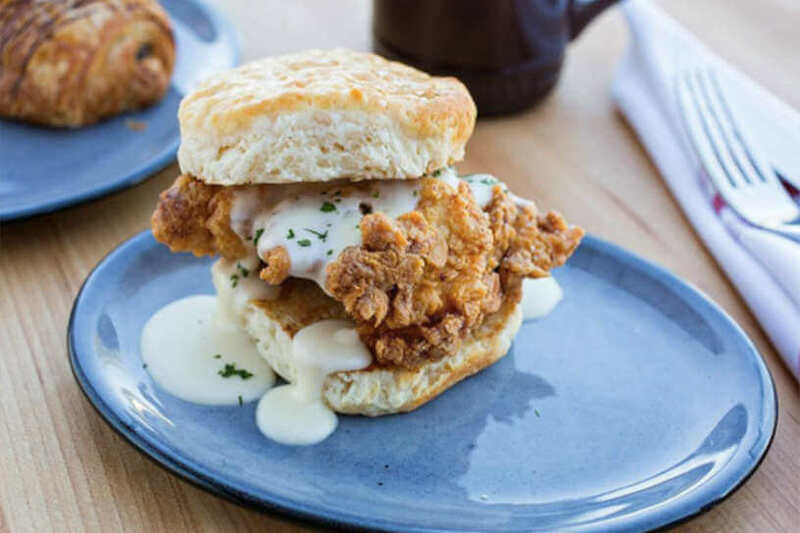 Southern traditions like a chicken biscuit and roast meats are served alongside fresh, tasty salads at this breakfast and lunch venue. The uber-modern menu also incorporates international cuisine via the Mexican grilled Mahi tacos, Vietnamese banh mi roll and traditionally French croquet-monsieur. 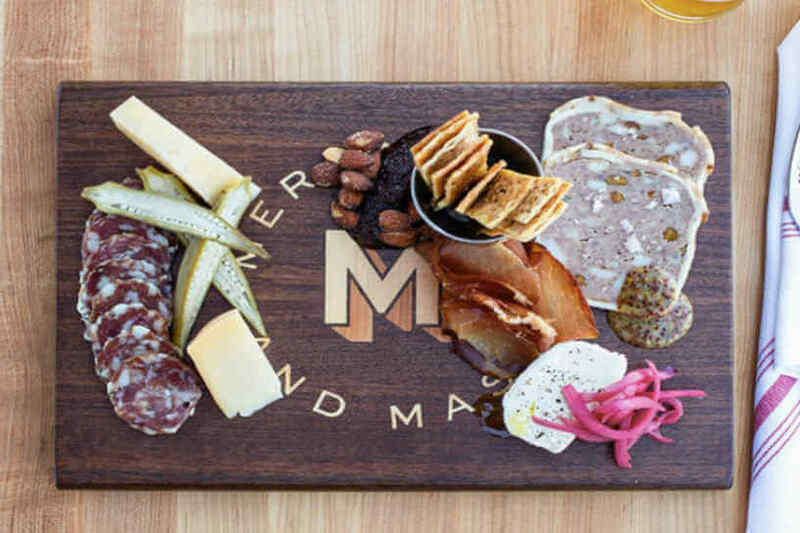 The charcuterie and cheese plate is a must – wash it down with one of the craft beers or sodas, and finish off with some housemade gelato. This recently-opened restaurant is yet another place doing seriously inventive stuff with traditional Southern cuisine, and throwing in a little international flavour for fun. The focus at Spero is on share plates, so bring lots of friends to sample as much of the menu as possible. Be a true southerner and start with some cornbread. But this is no ordinary cornbread – it comes with burnt honey miso butter. 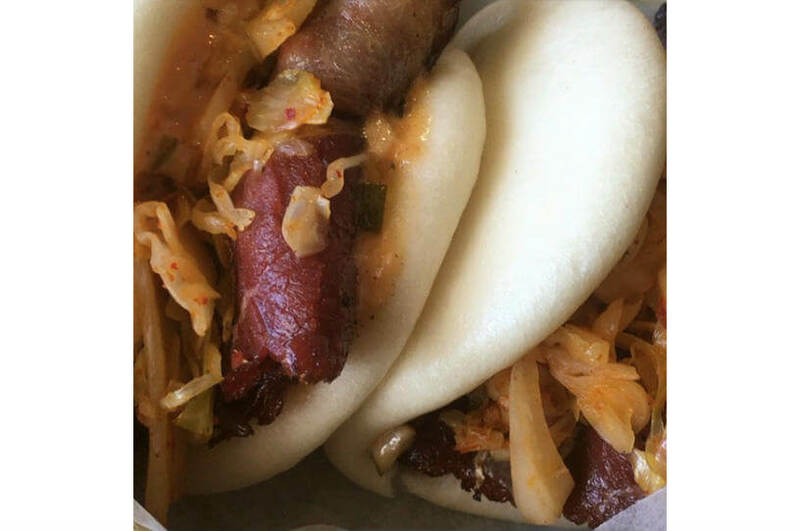 I couldn’t go past menu item Dem Buns Though for the sassy name alone and wasn’t disappointed by the combination of house-smoked wagyu pastrami, braised cabbage, and 1000 Russian island dressing. Southern food can tend to be heavy, so I was delighted by healthy sides of red Russian kale served with cucumbers, red peppers, and garlic miso vinaigrette, and the broccoli with roasted garlic puree, white anchovies, bread crumbs, and smoked chilli oil. I wish I had more places to recommend, but I’m only one woman, with one stomach, with one pair of jeans that haven’t fit since I got to the US of A. Thanks for the food hangover, Charleston. I’ll be back. Stay at Belmond Charleston Place which offers a convenient location in the centre of downtown and a complimentary daily happy hour in the bar. Erin Van Der Meer is an Australian travel writer. Right now she's in the US drinking too many free refills of Dr Pepper.